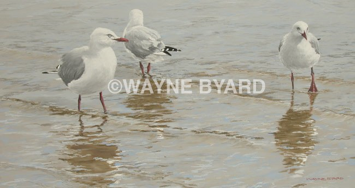 Australian Landscape, Wildlife, Portrait, Seascape and Stockman Paintings For Sale by Australian Artists David Byard and Wayne Byard in Oil, Acrylic, Watercolour, Pastel and Pencil. David is a well known Australian artist. He works in many different mediums and paints many varied subjects. Browse through a selection of Davids Paintings. Wayne has had an interest in wildlife and the outdoors all his life, combined with his natural artistic ability his focus on wildlife art has been a natural progression. 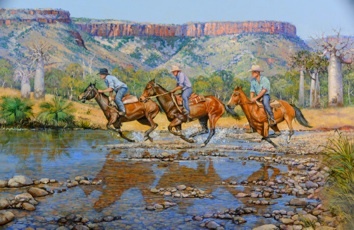 Browse through a selection of Waynes Paintings.